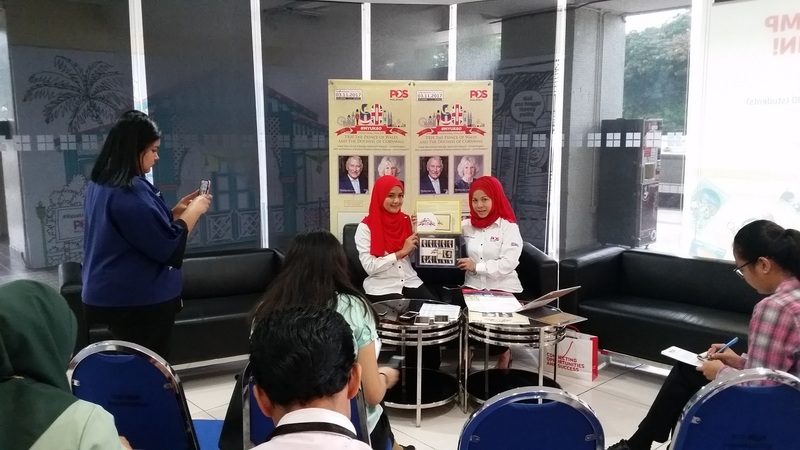 In a media preview today (31 October 2017), Pos Malaysia unveiled the salient points behind another eagerly awaiting stamp issue on the Royal Visit of TRH The Price of Wales and The Duchess of Cornwall and also in conjunction with the 60th anniversary of the Bilateral Relations between the United Kingdom and Malaysia. The prices listed above are excluding GST. This stamp issue is expected to be well received especially the royalty collectors from around the world. It is also the second time that Pos Malaysia has issued stamps on the British Royalty since independence. The first time was in 2012 in the now famous “William and Kate” stamp issue. Meanwhile the British High Commission of Malaysia is expected to host a media conference on 01 November 2017. The royal couple has already started the tour of the region in Singapore on 30 October 2017 (Monday). Here is an article in The Star: https://www.thestar.com.my/news/nation/2017/11/01/charles-and-camilla-to-visit-malaysia-for-a-week/ Note: The date of sale of the stamp issue is erroneously stated as 31 October 2017 which was actually the date of the media preview. The original news was a press release by Wisma Putra. Based on the sketchy available news and the brochure, the relevant postmarks will be Kuala Lumpur, Putrajaya on 03 November 2017, subsequently Taiping (Perak), Grik (Perak), somewhere in Sarawak, Pulau Pinang on the dates of visits or on the first day of issue. Relevant cancellations are Medan Tuanku (KL) and Queensbay Mall (Pulau Pinang).